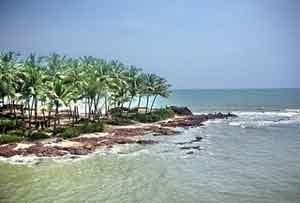 On 7th May 1498, Vasco da Gama landed at Kappad with 170 sailors revealing the gem called India to the European world. 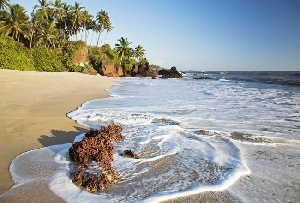 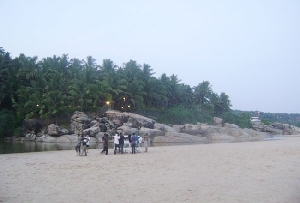 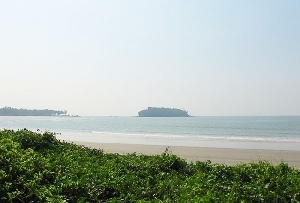 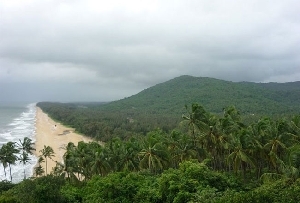 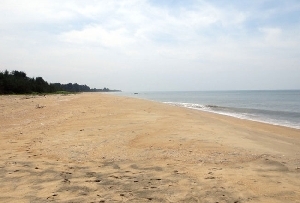 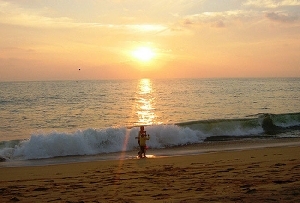 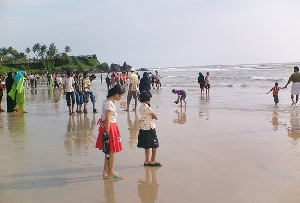 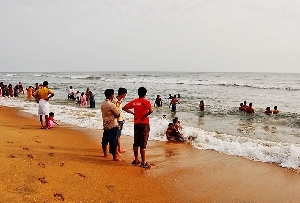 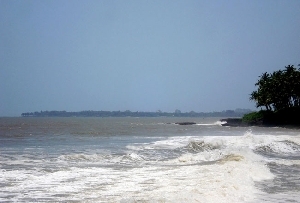 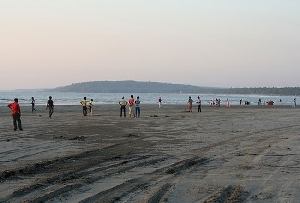 This rock studded golden beach is locally known as Kappakadavu and is 16 km from Kozhikode. 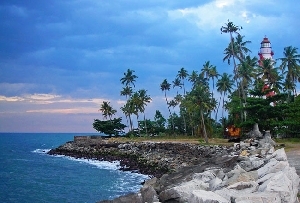 A sprawling rock protruding into the sea is a distinctive feature of this beach. 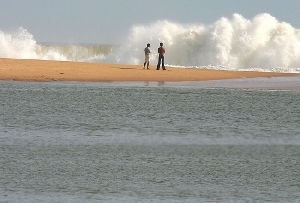 The temple that stands on that monolith is said to be 800 years old. 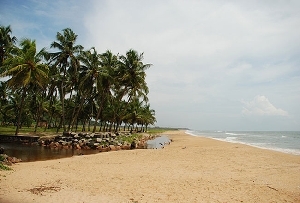 A heady cocktail of history and beauty makes this beach an unconventional beach resort. 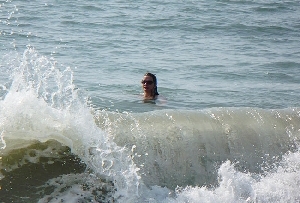 The stoic sand and the waves exchange the story of a cobwebbed past stagnating in the cellars of time. 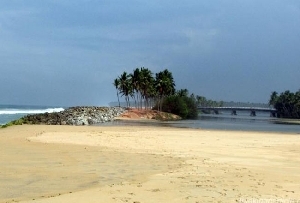 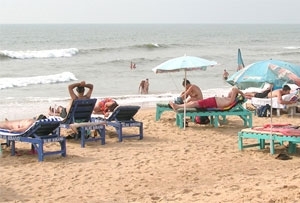 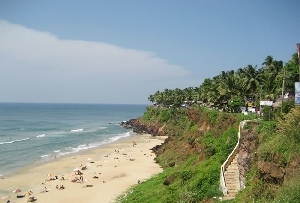 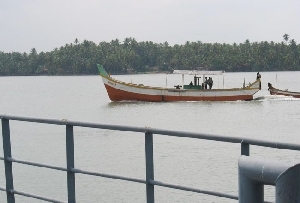 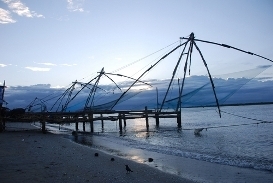 Kozhikode 16 km away has many luxury and budget hotels to suit your purpose. 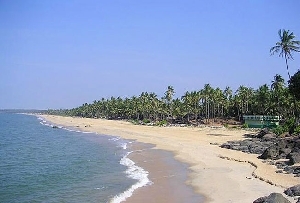 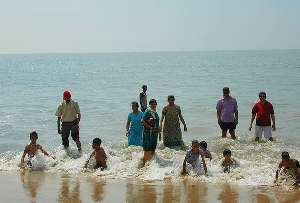 The Kappad Beach Resort at Kappad is a luxurious resort with sea facing cottages designed for your comfort.